Apply to clean, moisturized skin prior to makeup application. Can also be added to your foundation or layered under powder highlighters for an instant boost of radiance and all over the body for a healthy, glowing appearance from head to toe. My makeup glide on beautiful and my skin glows all day! This is the Best primer I have ever used. You only have to use a little. It makes my skin smooth and the 4 in 1 powder goes on great. I would buy it again. My skin feels wonderful and my makeup glides on, stays perfect for the day and just makes me feel good about my look! I love this primer! Makes my skin look glowy! Doesn't feel sticky after application! Doesn't have that silicone feel! Definitely recommend everyone to try! Love the formula. Its not too much illumination but not too little. I used with my foundation and it makes it super easy to apply my thick foundation. It's like an instant highlight without the highlighter. i like it so much 8 got 2 bottles. it is silky on the skin.i love the way it looks under my foundations! it isn't sticky at all. i love the dropper and it us a top fav! I love this stuff! It feels amazing and gives my skin a dewy glow. When I wear makeup; a couple drops do the trick. I love it and I love the shimmer it has and glow that it gives the skin. i do not like this brand this is the worst primer ever it looks like greenish or halographic im not sure i tried mixing it with my foundation i do not like it its over priced because i found bettter primers and better quality this is awful and the whole thing gets crusty while i open it aswell . I keep getting samples of this and I have grown to completely hate this primer. I absolutely love Pur primers, but this one....I have NO IDEA who it would be good for. It SO oily. SO glittery... I cant get this to work or look good. Also, there is no longevity. Just avoid this one and use the other Illuminate and Glow. primer. Gives your skin a nice, healthy glow over or under your makeup! 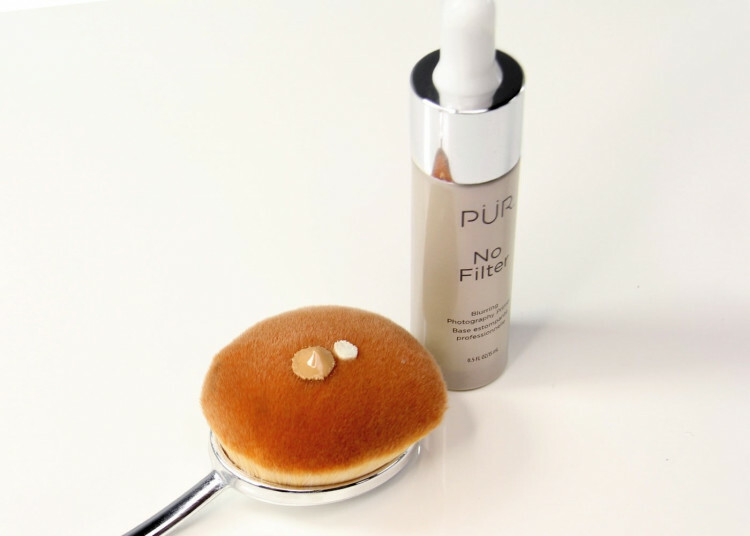 Helps skin look flawless on days that you don't want to wear foundation! I use it under the disappearing ink concealer and the bare it all foundation everyday. Loving what it does for my skin! This primer goes on smooth and keeps my makeup in place until I take it off. A little goes a long way. I was only going to purchase concealer in my original order, but thought I would try this product too. So glad I did! I adore this primer! It's super lightweight and doesn't feel heavy or sticky like most primers. Not only does it work to help perfect the skin but it really does blur imperfections and it makes your skin look beautifully glowy. A tiny bit goes a long way! My skin has never felt and looked more beautiful and perfect than it has when I used this primer paired with the new Bare it All foundation! I'm in awe of how amazing this primer is and highly recommend it to anyone and everyone! I like this primer a lot but honestly it's a little over priced. This primer is amazing, blurs all the fine lines, and gives you that glow without looking oily!!!! !